Reuters. 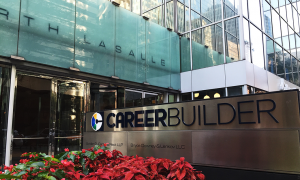 A group of investors led by U.S. private equity firm Apollo Global Management LLC and Ontario Teachers‘ Pension Plan Board will buy a majority stake in job portal CareerBuilder, the companies said on Monday. CareerBuilder LLC is owned by broadcasting company Tribune Media Co, TV station operator Tegna Inc and newspaper group McClatchy Co. These current owners will all retain a minority stake, Apollo said. Apollo did not disclose financial details of the deal.